It’s the hot debate starting to flare up as 5G edges closer to becoming a reality – can the next generation in network technology replace the NBN as Australia’s go-to broadband connection? 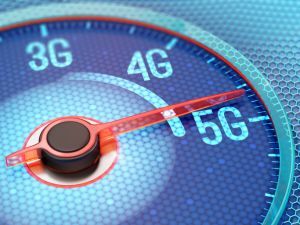 Although it’s yet to go live in Australia, 5G is hotly anticipated to reach gigabit speeds, while the NBN has been met with controversy as it seemingly flounders (despite top speeds of up to 100Mbps). With 5G home broadband plans already in place from the likes of Optus, could this new mobile network really be better, faster, and more reliable than the NBN? Read on to find out more about what 5G can offer, and if it’s truly the ‘NBN killer’ Australia deserves. What is 5G internet & when will it arrive in Australia? 5G is the natural progression of 4G mobile internet, but this next generation looks set to be a big one. Pundits say it could deliver speeds up to 20 times faster than the fastest fixed line internet in Australia, so it has some big claims to its name already. Access to 5G services is scheduled to begin in mid-to-late 2019, depending on your telco, but isn’t likely to be completed until well into 2020. Interestingly, fixed wireless customers may be among the first to see the benefits of 5G in Australia, connecting to a hub that then connects to a 5G data service. Telstra is already on-board, having switched on 5G mobile sites across Sydney and Melbourne in late 2018. Australia’s largest telco boasts 187 5G-ready stations across Australia, with more being added in time for the 2019 launch. 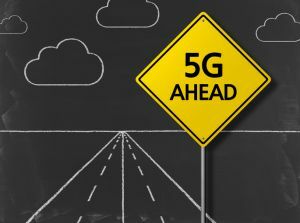 The only downside is that we still have to wait until the first 5G-ready mobile phones hit the market, but Telstra has already confirmed it will stock 5G-capable devices from Samsung, LG, and OPPO throughout 2019. Not long after Telstra’s big announcement, Optus came to the 5G game after launching a 5G home broadband plan. For $70 per month ($1,690 over two years), this will be available to select customers who can apply for early access via an ‘expression of interest’ program. The first 5G rollout was focused in three locations, with two suburbs, Manuka and Dickson, in the ACT and Glendenning in Sydney. Optus will continue to establish 5G sites across Australia throughout 2019. In comparison, the NBN rollout is due to be completed nationally by 2021. So overall, the turn of the new decade could see a dramatic uptick in internet speeds across Australia, thanks to the combined adoption of the NBN and 5G cellular networks. In the meantime, 4G data is still widely available as an on-the-go alternative to fixed broadband. Below is a list of 4G mobile broadband plans with at least 30GB data on board, listed in price order. These are featured products. 5G Vs NBN: What could be better for home internet? Aside from speed comparisons, what ends up being better for home internet could entirely depend on which provider you’re with, and what technology they’re backing. However, there is no reason that 5G and NBN cannot complement each other – like how 4G is used for mobile applications, and NBN services home internet needs today. While Telstra and Optus have not been coy about their support for 5G, the third big carrier in Australia, Vodafone, is a bit more reserved in its approach to 5G. CEO Inaki Berroeta has downplayed the hype, saying that the new spectrum will not realistically be available for a few years, and that in that time NBN could gain even further ground. Nevertheless, Vodafone is building its own 5G network and aiming to have it up and running in 2020. Vodafone is the newest of the ‘Big Three’ telcos to offer NBN plans, while Optus and Telstra have had their offers available for some time, offering broadband along with entertainment bundles, discounts, and deals. While it may seem Vodafone is backing down on the NBN hype, its CEO did push the ‘co-existence’ model, rather than 5G taking over NBN or vice versa. Although some think that 5G might be the death of the NBN, the broadband network is certainly not going away. Below are brands that feature unlimited data on the fastest NBN speed tier – NBN 100, or Premium Evening Speed, listed in monthly price order. These are featured products. The fastest speeds currently available in Australia are 1Gbps, with Wollongong in NSW being dubbed ‘Gigatown’ after MyRepublic picked the city to debut its one gigabit-per-second broadband plan. However, this is still up to 20 times slower than the speeds which are theoretically possible with 5G. The fastest NBN speed tier available to most Australians is 100Mbps, while 5G could reach up to 20Gbps – 200 times faster. Aside from speed, 5G may also reduce ‘ping’ times, which could lead to a significantly improved experience for online gamers. In past trials, Optus said it achieved real-world results of 2Gbps. However, 5G coverage is a major concern, and a big reason why it’s unlikely to provide most Australians with a feasible NBN replacement. Telstra had previously come out saying that one million Australians will be covered by 5G – less than 5% of the total population. In comparison, existing 3G and 4G services currently cover up to 98% of Australians. While 5G may not totally replace the NBN, that doesn’t mean you shouldn’t get a little excited about it. With up to 20Gbps download speeds a theoretical possibility, Australia could experience a whole new world when it comes to the internet. And as the big telcos begin to roll out their 5G networks, and with 5G phones soon to hit the market, there isn’t long to wait until we can test out the new tech ourselves. It will be interesting to see how the many telcos and Mobile Virtual Network Operators (MVNOs) receive 5G and what they’ll charge for it. Nevertheless, 5G has the potential to revolutionise internet in Australia – but don’t count out NBN just yet. 5G may offer faster speeds than the NBN, but coverage will be limited in comparison. 5G plans may also be pricier than NBN options, especially for unlimited data.